Asian market gained after easing of tensions between Ukraine and Russia while the internal conflict in Iraq continued to weigh on investor sentiment capping upside gains. The Nikkei ended up 2.3% at 15,130.52 while the Shanghai Composite and Hang Seng were up over 1% each while Singapore's Straits Times was up 0.5%. European shares firmed up in early trades today as easing tensions in Ukraine helped improve investor sentiment. The CAC-40, DAX and FTSE-100 were up 0.5-1% each. 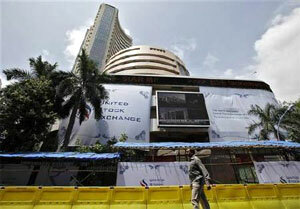 The BSE Auto index was the top sectoral gainer up 2.3% followed by Realty and Capital Goods indices among others. However, FMCG and Power indices lost sheen down 0.4%. Auto shares firmed up post robust earnings during the June quarter and encouraging sales growth during July. Maruti Suzuki surged 1.7%, Tata Motors climbed over 3% ahead of its June quarter earnings later today. Among other shares, Atlanta has zoomed 20% to Rs 74 on National Stock Exchange (NSE), after reporting a five-fold jump in net profit at Rs 19 crore for the first quarter ended June 2014 (Q1), on back of strong operational income. The construction and engineering company had profit of Rs 3.85 crore in the same quarter last fiscal.